As I thought about a professional goal for the New Year, the phrase “first, do no harm” kept coming to mind. If I could get to the end of 2019 without doing any harm, that would be a worthy achievement. My son was not impressed. He expected that someone who had been a doctor for as long as I had, would be adept at “doing no harm”. He thought I should attempt something a bit more challenging, like running a marathon or climbing the four highest peaks in Ireland over a weekend. But I stuck to my decision. Doctors are well aware of the potential for error in prescribing and are continuously trying to minimise that risk, but I wondered, were there other, less obvious areas where doctors inadvertently do more harm than good? Every New Year, many people commit to changing their lifestyle, becoming more active and losing weight. As a doctor, I encourage this, dutifully checking BMIs, advising about “healthy eating” diets, and offering tips on ways of increasing physical activity. I do this because I have bought into the paradigm, that a calorie is a calorie and that the only way to lose weight is to make sure that, “calories burned exceeds calories consumed”. This is what the World Health Organisation (WHO) and the American Heart Foundation (AHF) have told us is true. The only reason we have an obesity epidemic is that people will not do what they are told. They will not eat less and move more. So, what can we do, except keep pressing home the message, like Sisyphus, pushing his boulder uphill, only to have it roll back down again, when he reaches the top. But what if the WHO and the AHF are wrong? What if losing weight is not as simple as counting calories and increasing physical activity? What if the advice I am giving is not only ineffective, but harmful? Over a decade of scientific evidence suggests that this might be the case. But perhaps, we should have had our suspicions anyway. If, at any one time, over 50 per cent of the US population are on a diet and diets are an effective way of losing weight, then surely some of those people should succeed in achieving their aim. One diet would be all that was required and we would not be spending $120 billion globally, each year, on the diet industry. To be fair, a significant number of people do lose weight in the initial phase of a diet, but only 5 per cent of those people will maintain that loss. The other 95 per cent will regain that weight and more, in a short space of time. These are the people who will go on to try a second, third, and fourth diet, gaining a little more weight each time, caught in an endless cycle of dieting, weight loss, weight gain, and dieting. These are the people who will develop obesity, diabetes, and cardiovascular disease – the very problems we are trying to prevent in the first place. There are three main reasons that diets do not work. The first is that our bodies are not designed for starvation. When food is scarce, the body mobilises its resources to save energy and protect itself from further weight loss. It produces a physiological response that sends us looking for food. This is nothing to do with willpower. This is survival. And we are not built to over-ride our survival mechanisms. Secondly, the weight that people lose on a calorie-restricted diet, is muscle, not fat. Muscle mass is important for maintaining metabolic rate and so when this is reduced, so too is metabolic rate. Subsequently, when food is consumed it is deposited in the body as fat, not muscle. One cycle of dieting may be enough to damage metabolic rate forever and lead to gradual weight gain for the remainder of a person’s life. 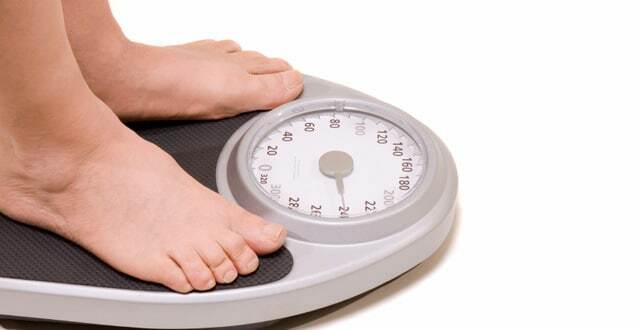 Thirdly, repeated failed attempts to lose weight can lead to chronic low self-esteem. In a genetically pre-disposed individual this can result in more serious mental health problems, particularly in the case of adolescents where calorie restriction is a common trigger for eating disorder. Apart from the fact that diets do not work, it is possible that doctors are missing another cohort of patients who should receive dietary advice, but who do not. These are the increasing number of lean people who develop visceral adiposity as a result of consuming the wrong calories, rather than excess calories, and put themselves at greater risk of metabolic syndrome and diabetes than some over-weight people. So, for 2019, I committed to helping people make truly healthy lifestyle changes and avoiding potentially harmful advice, but as January moves on I wonder if I should have signed up for that marathon or the Four Peaks Challenge. It may have been an easier option.